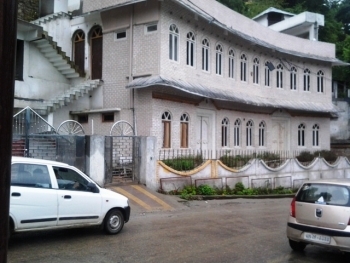 Hotel Bakhlee is one of the priviliged hotel located near the city bus stand in Pithoragarh. The Hotel offers Dining, Banquet, Hotel & Convention Centre. Famous for its warm hospitality guests are greeted with a heart-stopping sight a panorama of snow-capped Himalayan peaks from the hotel. From Wedding to Birthday Party, Kitty- Get Together, Conference and other Meetings and seminars, social and corporate events with its well trained staff it is suitable for all. Baakhlee Banquet Hall, is one of the largest Banquet Halls in Pithoragarh, with the ability to host up to 1400 guests in second level ballroom, and over 2000 guests throughout the entire complex. The well decor Ball room makes it a perfect venue for almost any occasion. Pithoragarh is typical hill town, with its complement of smoky jeeps, a bustling market area and shaggy dogs. The famous Hindu pilgrimage Mount Kailash-Lake Manasarovar route passes through this district. Forests of pine are glinting spectacularly and sending their unique aroma drifting ones way. There is no doubt its the place that does the trick the air, the mountains, the spectacular scenery, the food, the beguiling light its all rolled itself into a magic pill. The hotel is located at the corner of Siltham on Vadda road, at a walking distance from Siltham Bus Stand making it more convinient for travelers to reach the hotel. The flower beds in the garden of the hotel are aflame with the most impossible colours. The wisteria growing on the house walls, magnificent deodars, oaks, rhododendrons with their magnificent red flowers and other indigenous plants enough to make a man leap out of bed and rush outside. 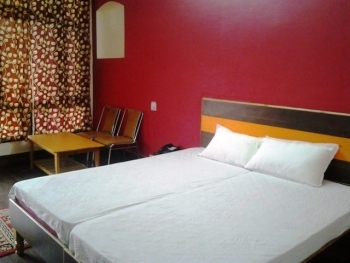 The hotel features a set of 9 comfortable and well furnished rooms which come with all modern amenities. The hotel has multicuisine restaurant which serves tempting scrumptious dishes. It also provides catering service for wedding, birthday or other event booking on demand. The hotel provides excellent banquet, party and conference facilities with a total space capacity of 2000 guests. Eye dazzling themed decoration and best in class catering put banquet in top spot in the town to arrange wedding and other celebrations. Music, Djs and flower decoration add charms in the party. By Air : The most awaited Naini Saini airstrip at Pithoragarh is now started. Pithoragarh tourism potential is now been explored by the outer world. The civilian airstrip is at 5 km distant from the main town and well connected by road. Pantnagar Airport is another major airport located at 242 kms in Udham Singh Nagar district of Uttarakhand. By Bus : Pithoragarh is well connected by motorable road to major towns and cities of Uttarakhand such as Haldwani, Almora, Pantnagar etc. Private taxis, Kumaon Mandal Vikas Nigam and Uttarakhand Roadways has regular service from these towns to Pithoragarh. From Kathgodam, one can travel to Pithoragarh (212 kms) via Bhowali, Almora, Daniya and Rameshwar.